This Yankee Pride Quilts Mystery Quilt is made with just three fabrics! Choose a light, a medium, and a dark, grab your Studio 180 rulers, and you're ready to make this beautiful quilt. With just three fabrics, you can make this stunning quilt. Judy's original Mystery Quilt pattern also makes use of three Studio 180 rulers: the Wing Clipper, the Tucker Trimmer, and the V-Block. 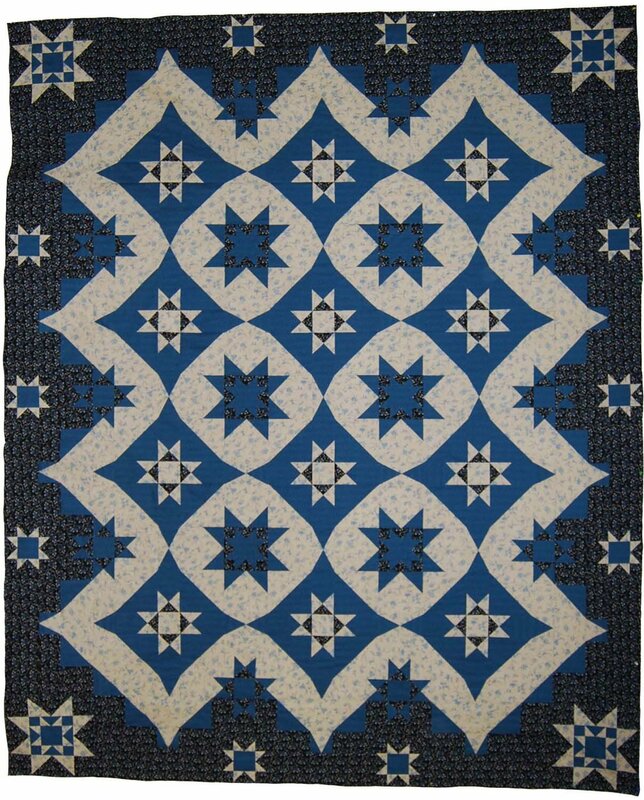 The simple blocks with an unusual lattice really make the quilt sparkle, so value is an important element here. Click here for yardage requirements and fabric selection hints. Instructions are given for three sizes: Wall, Throw, and Queen.